THE SPOTTED HARE: Upcoming . . . .
Upcoming . . . .
a few in their sewing room or studio. I consider them "useful works or art". 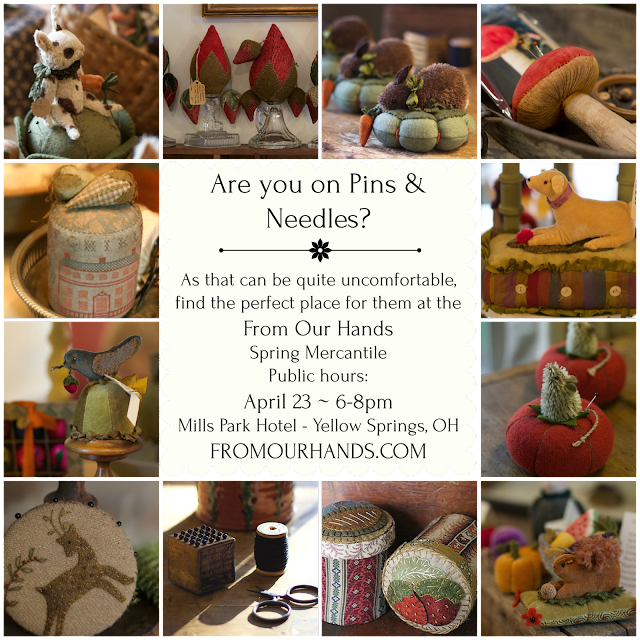 we stitch the days away! can purchase woolens, linens, threads, ribbons, kits, supplies and even finished works! Many of those finished works are ~ Yep !